Snag a great Magnum Ice Cream Coupon on facebook right now and save it for the new sale starting at Publix Wednesday or Thursday! 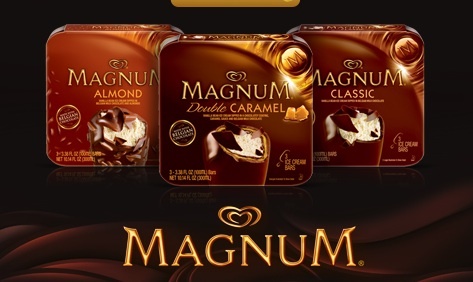 Get $2 off any Magnum Ice Cream Bars with this coupon. Starting this week Magnum Mini Bars 6 ct. will be on sale at Publix for $3.50, so you’ve got Ice Cream for $1.50 in the end. Or grab the 3 pk. regular size bars for $3 which makes them FREE after coupons! If you get Publix Best Meals emails, then you also have a store coupon… together this makes the Ice Cream only 50¢!! There is also another $1.50/2 Magnum Ice Cream Bars Coupon if you want to stock up.